What an awesome video diary/documentary of a diabetic kid, and interviews with other young diabetics. He talks about how he was diagnosed, what he was told to eat and how he turned his control around by ignoring the guidelines. Their common question is why are diabetics continued to be told to eat what you like, then medicate for it? The problem with the current advice is that you have to calculate your carbs, variables and quantities then try and calculate your insulin. This has incredible room for error at every step of each calculation and administration. Remember the law of small numbers. Eat low carb, requires less insulin, which will result in less and smaller errors. The more carbs you eat the more variability there is. The more insulin you require, the increased risk if insulin resistance. “it’s not a solution, it’s covering up the real problem”. 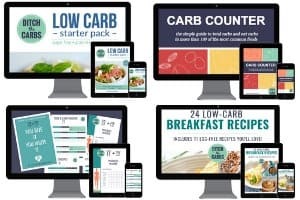 Gabriel’s Diabetic Kitchen, where he helps other diabetic kids manage their diabetes the low carb way. Low carb for diabetes article written by Kelley Pounds RN, Certified Diabetes Educator. TypeOneGrit – join their community Facebook page. 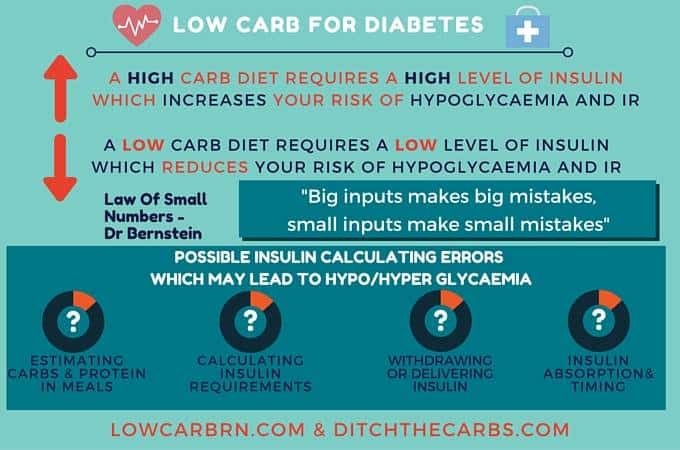 They are parents who follow Dr Bernstein’s low carb approach to stabilise their diabetic kid’s blood glucose control. Hey Lauren that’s is wonderful. Are you a member of TypeOneGrit? They are superb and so incredibly supportive. I point all T1 in their direction. Have a wonderful weekend. Libby. I loved you part in the video Hanna, no one else can describe what it is like unless you are a T1 yourself. Fabulous. Libby. Your input was great! I’m type1 and have 28 year old twins who both also have type1. Hearing someone (about their age) talking about what they can relate to, makes much more of an impression on them than their mother encouraging them to eat low carb all the time – not just when they’re here for dinner. Thanks, Libby. I’m teaching endocrine to the homeschool group high schoolers right now. This is perfect for me to show without seeming preachy to them. I’ll be showing it! Thanks! That’s great Terri, I really believe honest videos like this are a fabulous tool to teach others. No preaching, just honesty from T1 diabetics who live this every day. Yes. And to reach young people, it helps to have peers. So great to see you reference Dr Bernstein – has is a pioneer in the low carb management of diabetes. Children who follow his program get fantastic results. TypeOneGrit is an extremely valuable resource for parents. I reference him wherever I can. he i incredible, as are TypeOneGrit who follow his approach. They are truly pioneers of good diabetic control.